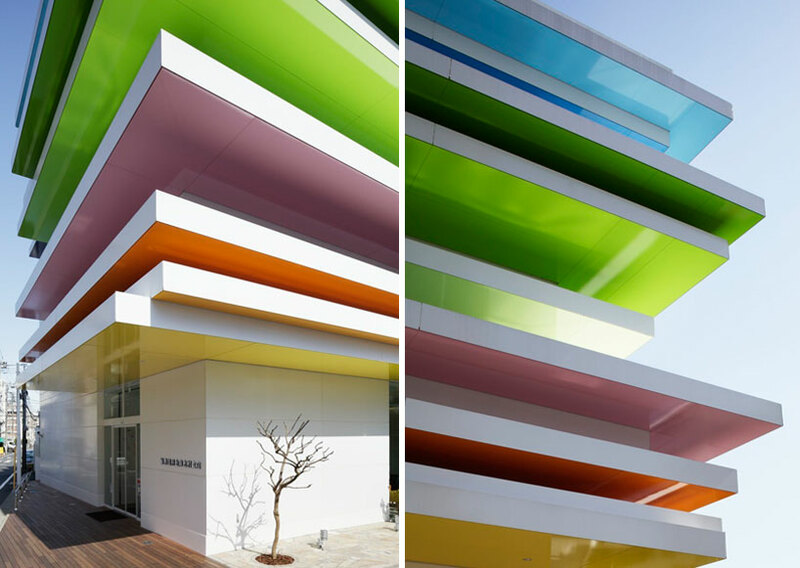 images courtesy of emmanuelle moureaux architecture + design / nacasa & partners inc.
japanese practice emmanuelle moureaux architecture + design has completed 'sugamo shinkin bank', a credit union located in shimura, japan. 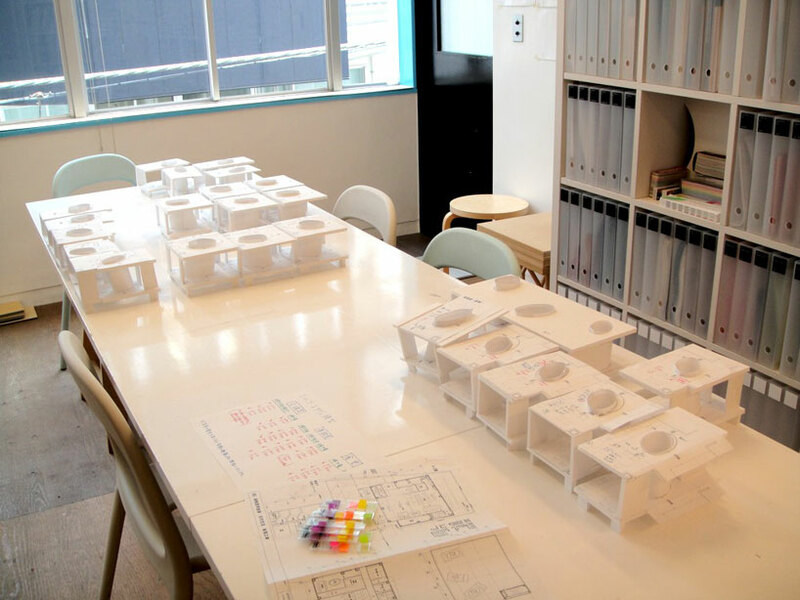 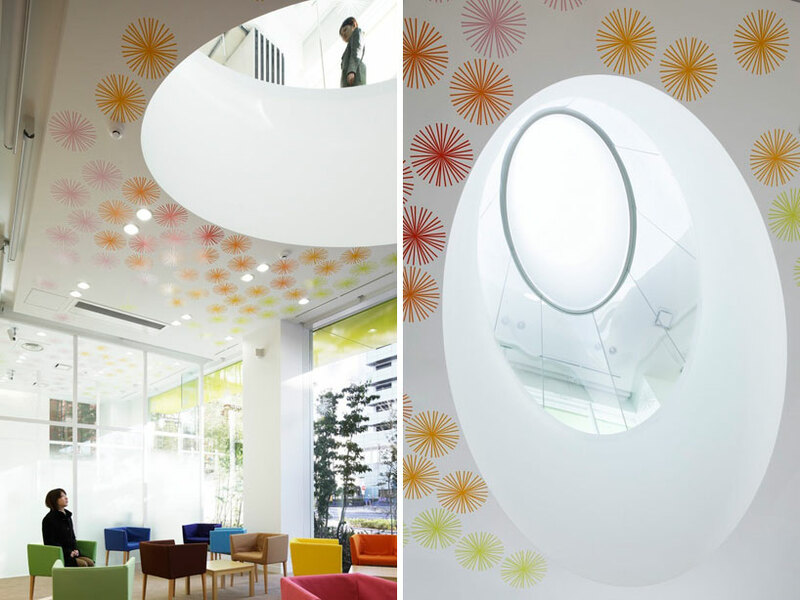 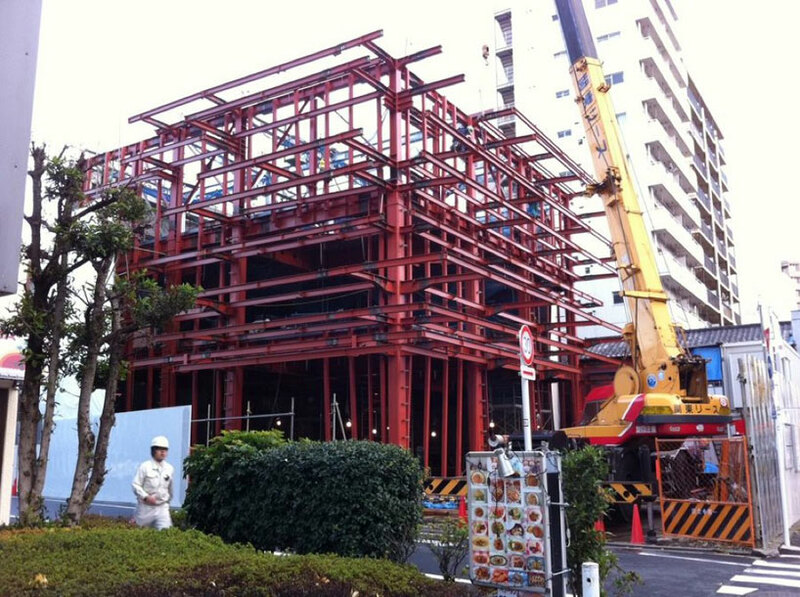 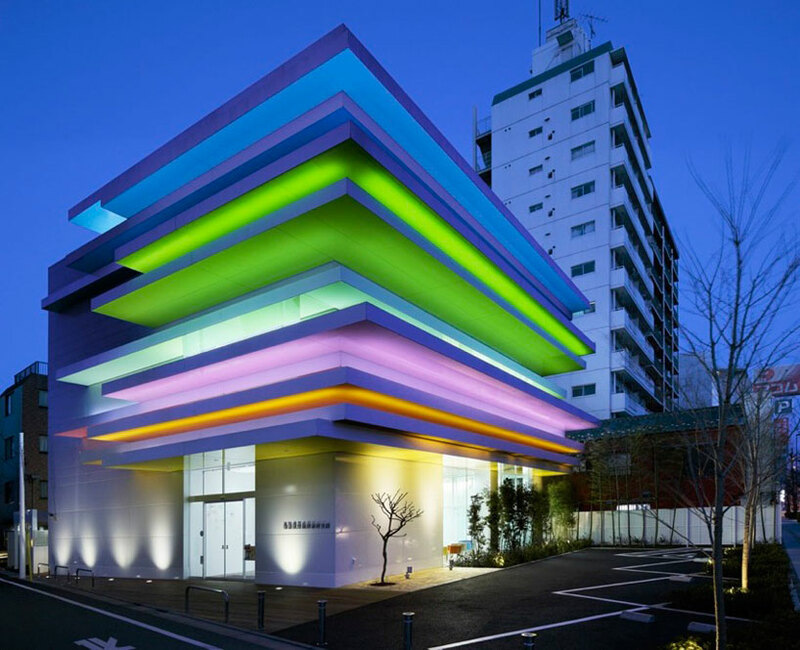 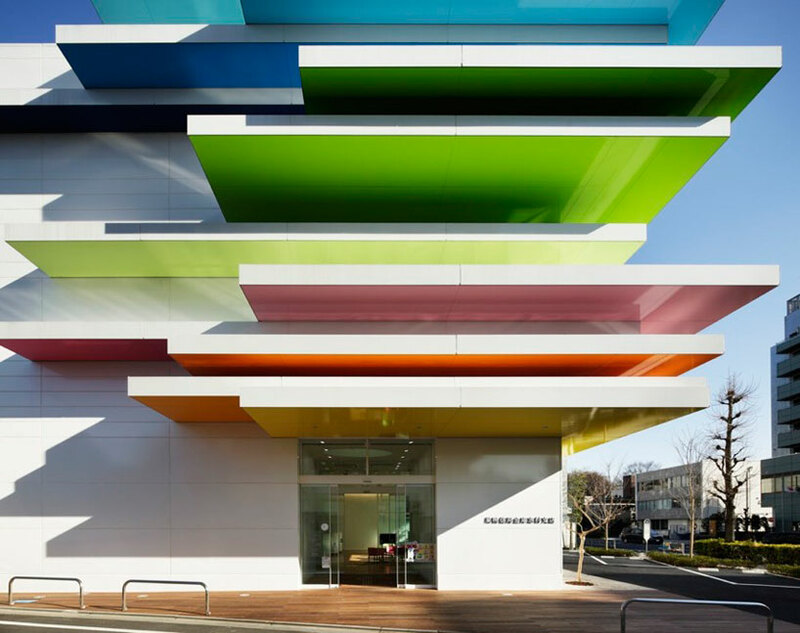 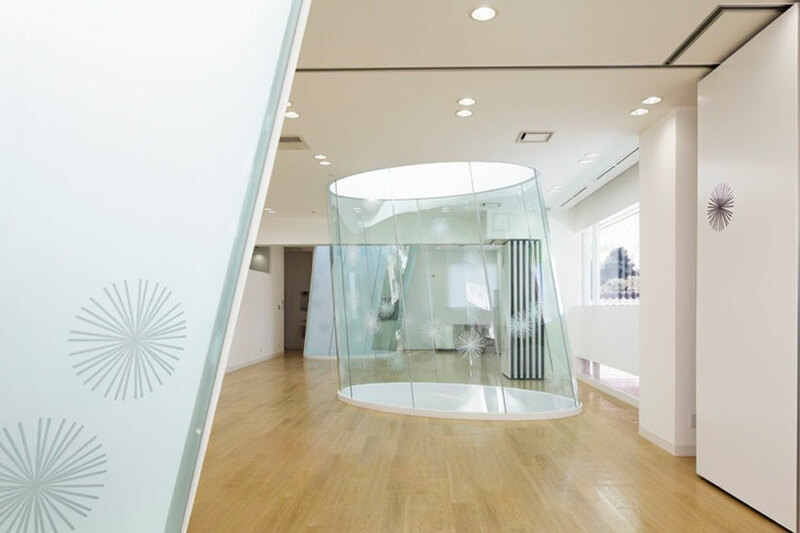 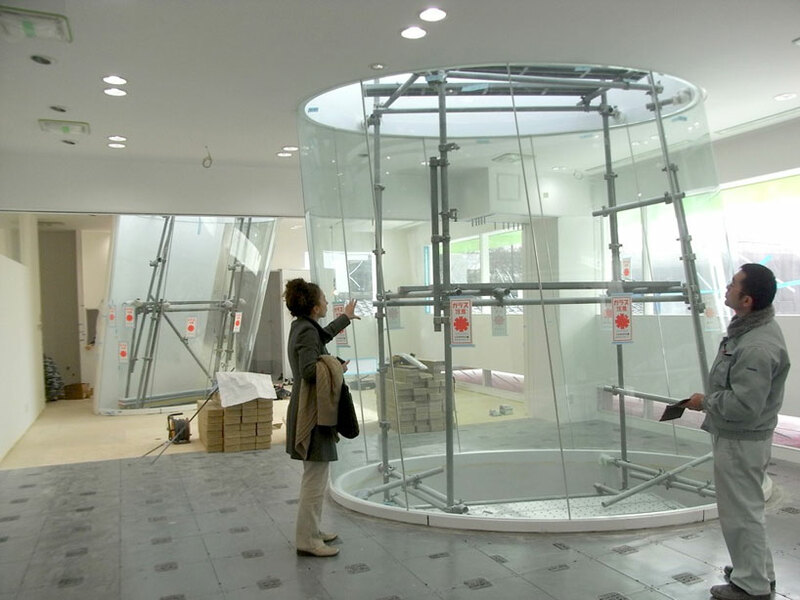 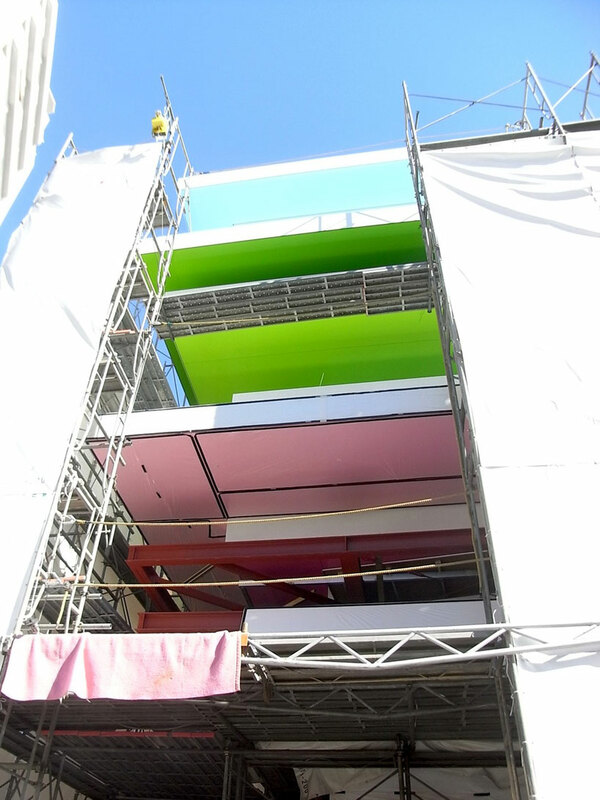 the design, an offset volume of rainbow-like layers, is the third branch designed by moureaux, with the first two located in tokiwadai and niiza. 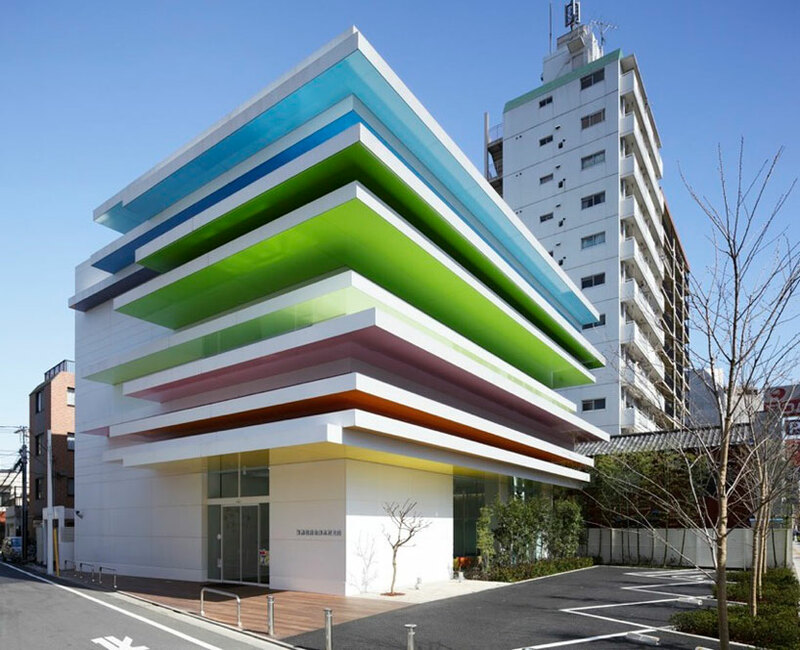 stacked slabs in twelve saturated colors dominate the exterior facade and contrast the stark white panelsthat enclose the building. 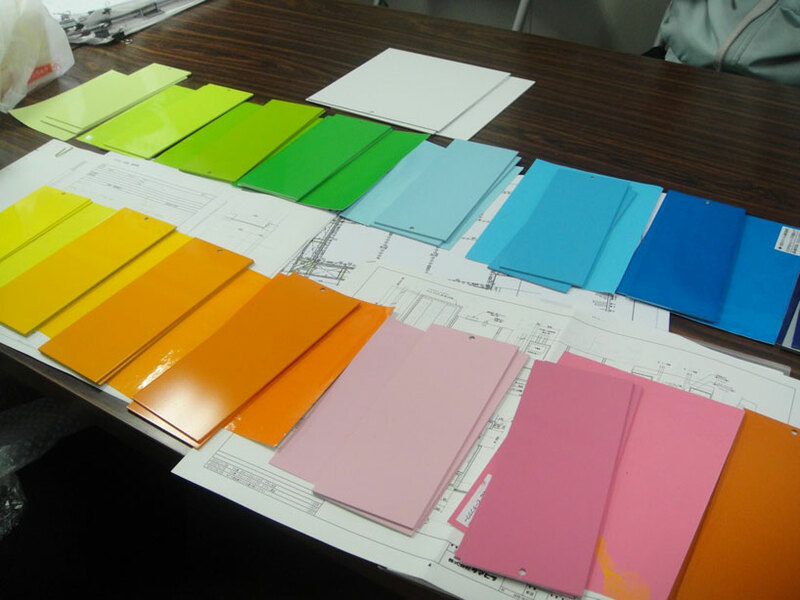 looking to create a refreshing atmosphere with a palpable sense of nature, the colors gently transition until they disappear into the sky. 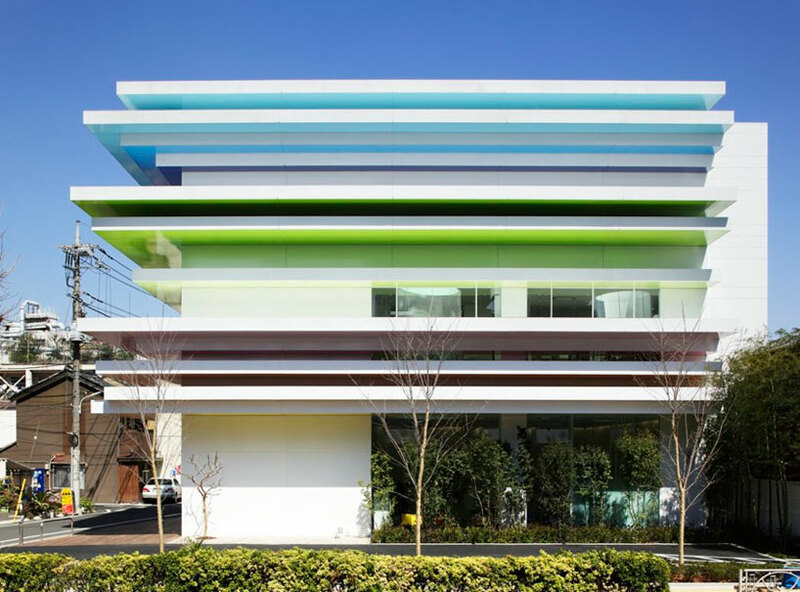 softly reflected onto the white surfaces, the hues create a warm and diffused exterior which provide a sense of ease and solitude. 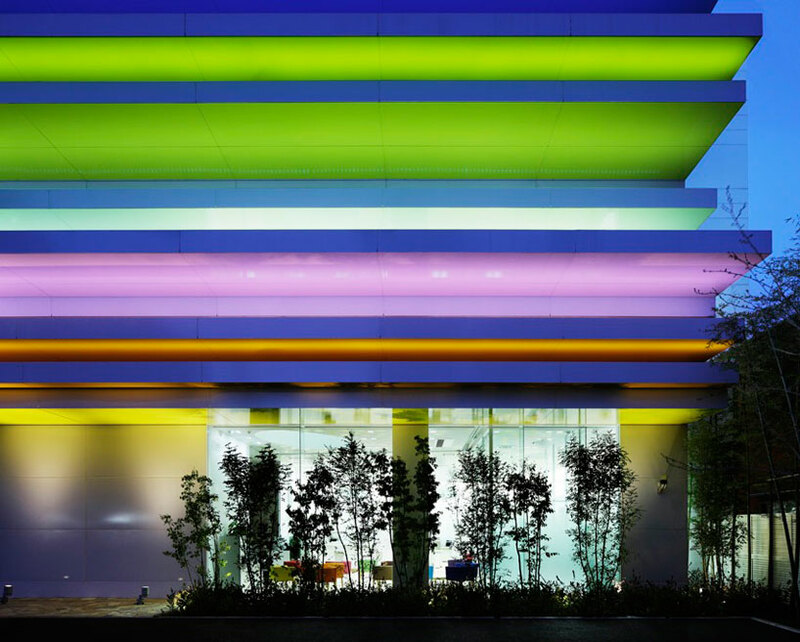 at night, the layers are faintly illuminated, varying in accordance to weather and the season. 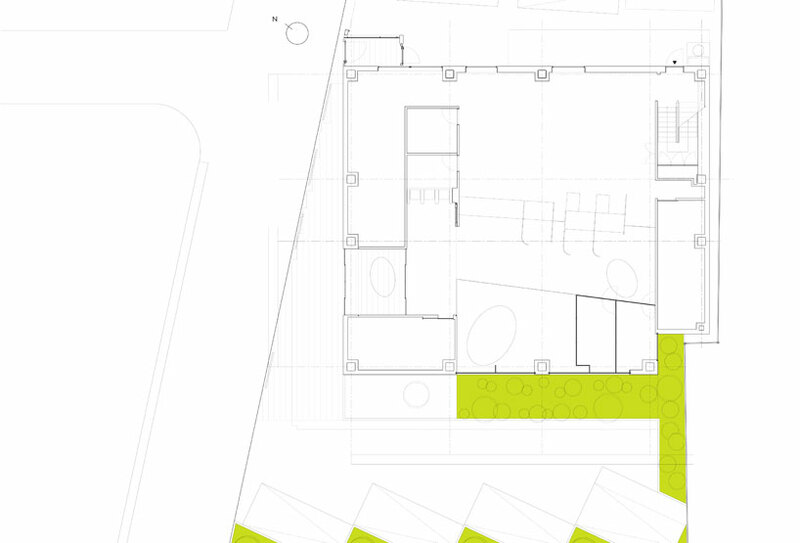 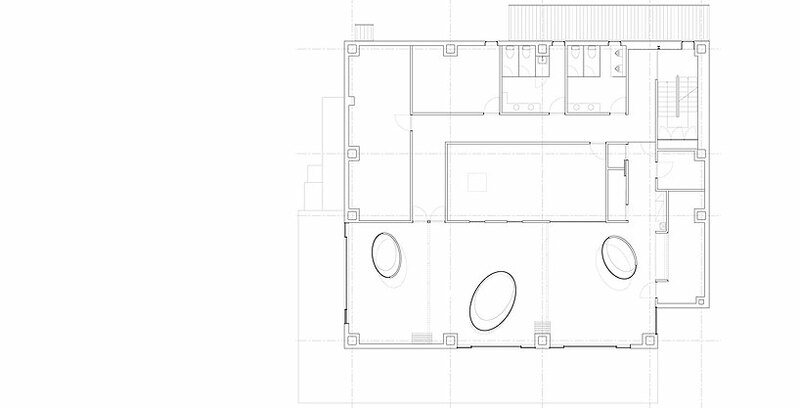 upon entering the building, three elliptical skylights bathe the interior in a soft light. 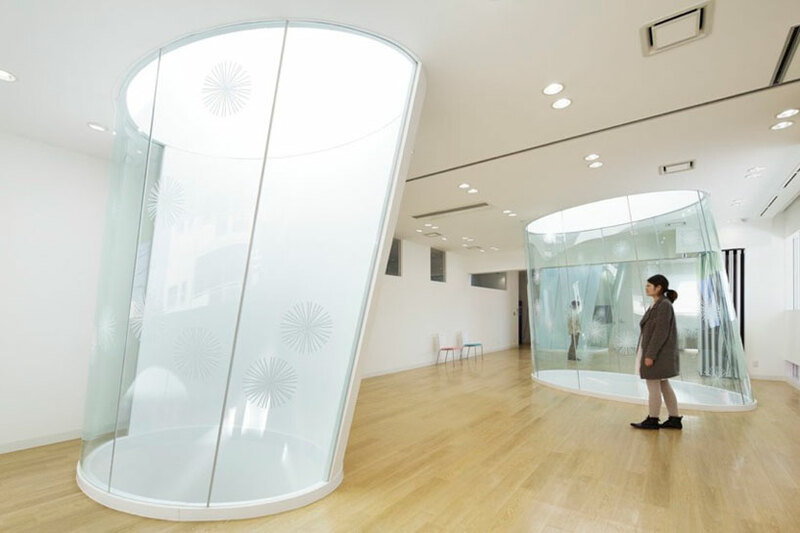 penetrating through each of the three levels, the clear, curving tubes carry light through them, introducing natural light into thedepths of the structure while integrating interior and exterior environments. 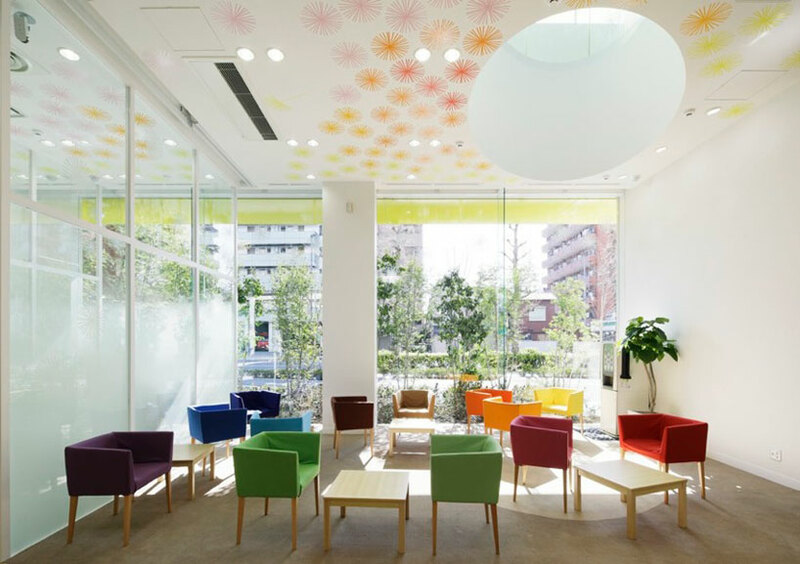 on the main floor where the bank machines and teller windows are located, simple motifs and brightly coloredfurniture act as a connection to the characteristics evident on the exterior of the structure.